The Celebrity Skin website is an online skincare and mineral makeup shop based in the UK. They specialize in brands such as Neostrata, Skinceuticals, and many more. They also have their own brand of organic, paraben free skincare. They have a 4 step skincare system which includes a clarifying polish, an eye cream, a retinol moisturizer, and a night serum which is the product that I'll be discussing. Celebrity Skin Pro Age Night Renew Serum is an Organic, Paraben Free intensive anti ageing serum specifically targeted to improve the appearance of fine lines and wrinkles. Enriched with natural, organic anti ageing ingredients: marine collagen, avocado oil, vitamin E oil and gotu kola extract. 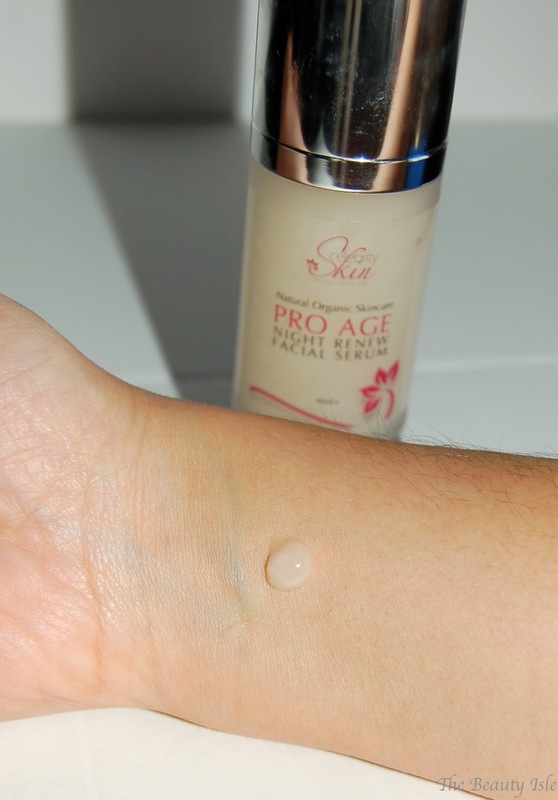 Pro Age Night serum works to repair cell damage, wake up to younger more radiant skin. The bottle has a very sleek high end look. I've been using this product for about a month and I apply it after cleansing my face and before applying moisturizer. This product feels wonderful going on my skin, it feels light but also moisturizing and cooling. It has a clean perfume scent which is not overwhelming. I've been loving using this serum every night. I do feel like I wake up with my skin looking refreshed. I look forward to continued use of this product and seeing how my skin improves over time. The Celebrity Skin Pro Age Night Renew Facial Serum retails for about $60 which is pretty pricey. However, if you can afford it and are looking for a nice refreshing night serum then this is the product for you! Disclaimer: I was sent this product for review however, all statements are 100% honest and my own.